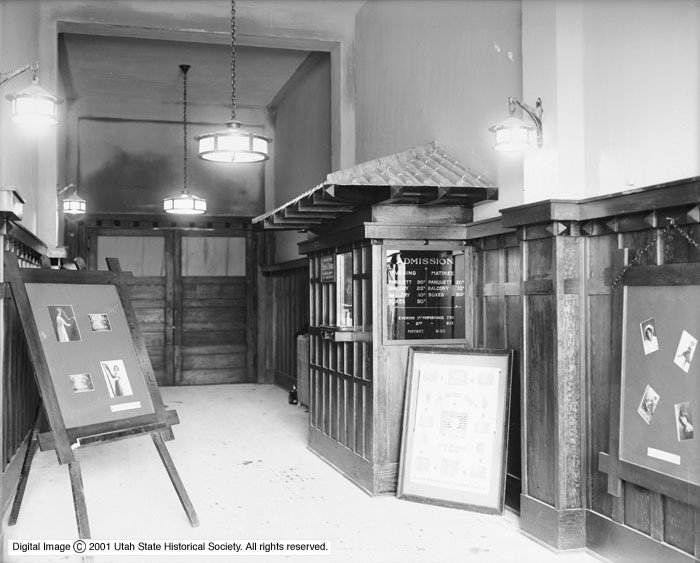 Description Image shows the lobby and interior ticket office of the Mission Theater. Rights Management Digital Image (c) 2002 Utah State Historical Society. All Rights Reserved. Source Physical Description Good condition. Source Donors Shipler, William H.